It has finally been showcased! 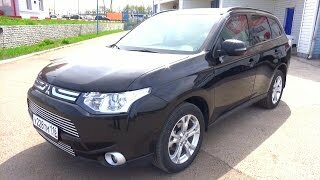 After much speculations and shadowy pictures, Mitsubishi has finally lifted the curtains off its 2013 Outlander crossover. 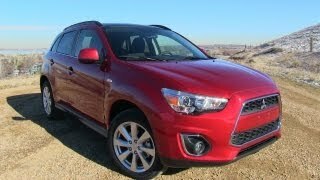 The Mitsubishi Outlander 2013 will officially debut at the upcoming Geneva Auto Show just a few weeks from now. But for Mitsubishi fans, the company has released one photo of the Outlander in its new avatar. If anyone said to you that the new Outlander will only be a revamped version of the Mitsubishi PX-MiEV II concept, then he wasn’t lying. 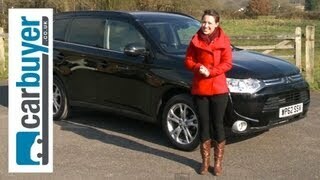 The new Outlander does look like the PX-MiEV II concept that Mitsubishi showcased last year in Tokyo. Mitsubishi has also declared that the design of the new Outlander will now set the design benchmark for all future vehicles from the company. The new Outlander will have better fuel economy thanks to the use of raft technology, which includes the use of all new 4-cylinder gasoline or diesel engines. The vehicle will ultimately have a plug-in hybrid variant which will join the line up by late 2012. The Euro-spec Outlander will be launched in the coming summer this year and it will 2.0 liter gasoline and a 2.2 liter turbodiesel engine. Fuel economy will be further enhanced with the inclusion of a standard front wheel drive mode, lightweight construction, an eco-driving coach and an engine stop start system. 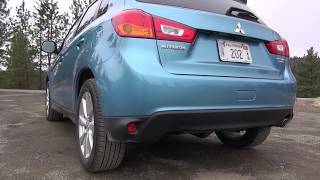 Safety features in the 2013 Outlander is quite modern and it includes an FCMS (Forward Collision Mitigation System), Adaptive Cruise Control and a Lane Departure Warning System. The FCMS, as its name suggests, warns the driver about any object in the front of the car and applies brakes automatically if needed. On the inside, the Outlander has a glossy black instrument panel with sliver accents switches and soft-touch dashboard trim materials. The third row of seats allows for inclusion of up to seven passengers. all across the globe, including the US. Price of this vehicle is yet to be announced by the company.